Deep Rug & Carpet Cleaning Services Stoneclough M26 | Quality Property Care Ltd.
Use this phone number 0161 823 0325 do get to our professional rug cleaning customer support representatives. They are available for your demands! Arrange the deep carpet cleaning assistance right away - it is appropriate for domestic and commercial properties as well! We’ve made an effort to be able to correctly clean a wide range of rug and carpet types in order to take care of the cleaning needs of all potential clients. Not only that but we’ve also been capable to widen our catalog of stain specialization allowing us to further guarantee your 100 % satisfaction. In terms of fiber kinds for carpets we can clean natural, organic and synthetic fibers like wool, cotton, linen,, silk, viscose, suede, acrylic, flush, chenille and quite more. The most efficient deep cleaning for rugs and carpets is the wet deep carpet cleaning or the hot water extraction carpet cleaning from Quality Property Care Ltd.. It includes pre-treatment of the rug by hoovering with specialized vacuum cleaners, and then carpet spot and stain removal, followed by the steam carpet cleaning. The qualified cleaners do a top quality shampoo carpet cleaning, using safe and certified cleaning methods, which will not cause harm to you, your children or your pets. The rug or carpet will have as much of the water extracted from it, so it will need only 2 hours to fully dry off. If you get it, the cleaners can do a very nice deodorising of your rugs and carpets for an added clean and fresh effect. 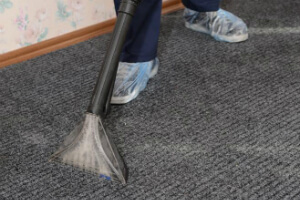 There are some rugs and carpets that cannot safely be cleaned with water, so the cleaners will deliver a very efficient and safe dry foam carpet cleaning. 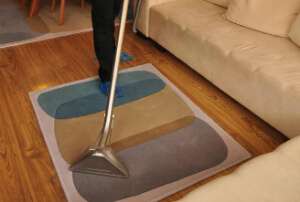 The exclusive and perfectly safe foam is sprayed and rubbed into the rug or carpet, and after it has done its cleaning job, it is extracted with the suitable vacuum cleaners and tools. The same can be done with your curtains, mattresses or blinds and draperies. Dry carpet cleaning needs no drying time, so you can step on your rug or carpet right after the cleaners are done. Steam carpet cleaning: hot water extraction method with maximum effect on dust and bacteria inside the fibres. The procedure is ideal for manufactured elements. Meet Quality Property Care Ltd. - the supreme professional rug cleaning company with 10 years of experience in the field and with various solutions for rug spot and stain removal. Our trustworthy carpet cleaning firm in Stoneclough M26 has adopted the general standards in carpet and rug hygiene routine maintenance. However, in addition to these, we usually tend to progress and advance. Get in touch with us to get a reservation for our carpet cleaning service in Stoneclough M26 today! To book our professional cleaning service call 0161 823 0325. Our dedicated team of customer care agents is out there, helping you with the booking or responding to any questions you may have. We are available during bank holidays and weekends totally free of additional charge, with flexible booking and same day availability. Be sure to follow our web site and check back regularly as we often have deals and offers which can save you up to 35% on your next deal. Don’t miss an opportunity to have the best carpet & rug cleaning in Stoneclough M26 at the best prices in the Greater London area.